If your company is thinking about adopting a sales enablement strategy, there are some crucial steps to help ensure the process is a successful companywide transformation—and not just a group of disjointed efforts that ultimately show little or no concrete improvements. While the specifics of every sales enablement campaign are going to differ from company to company, the following four-step outline for success applies across the board. If you aren’t thinking about sales enablement in a holistic, companywide manner, your chances of success are going to be greatly diminished. One of the most common missteps when implementing a sales enablement strategy is jumping into the process without the requisite forethought, planning, and strategizing. 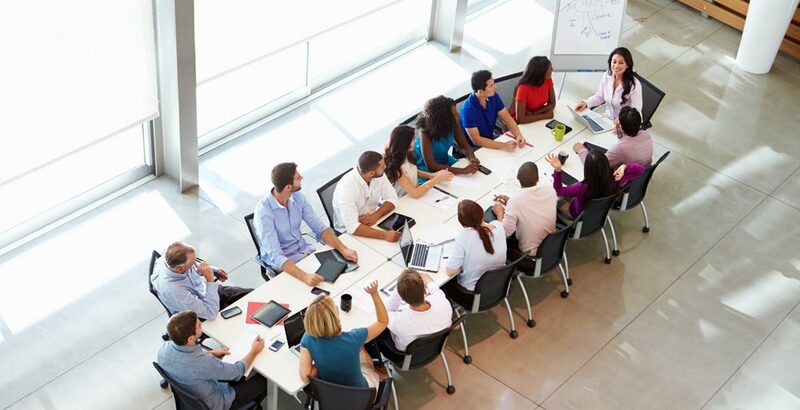 Many companies will initiate a series of moves, such as leadership workshops and product trainings, in an effort to start enhancing the productivity of their sales team. While there’s nothing specifically wrong with these individual initiatives, the problem is that they are inherently less effective when done outside of an overarching sales enablement strategy—a strategy that has specific goals that take into account how the entire company can contribute to enhanced sales efficacy. For sales enablement to be truly transformative, it needs to be integrated throughout the company from day one. When that happens, a company’s leaders have a process that doesn’t just teach sales enablement but helps ensure those lessons are internalized and applied through lasting behavioral changes. Without buy-in, sales enablement can’t even get off the ground, which is why getting everyone on the same page is essential. Rather than having one particular stakeholder create a sales enablement plan that’s then disseminated throughout the company, the more effective strategy is for all divisions to meet and come to a consensus about the ultimate vision and goals of this new sales enablement program. Having everyone’s input accomplishes two important goals. One, it increases the chance of buy-in since everyone’s voice is acknowledged and heard, and two, it helps ensure all your bases are covered. When you get the input and perspective of every group, you’re more likely to accurately identify all potential roadblocks, change metrics, and roles and responsibilities necessary to make your sales enablement plan successful. A service-level agreement (often between marketing and sales) is an effective, easy way to solidify and clarify expectations throughout this process. Once the correct mind-set is established and the strategy is in place, it’s time to actually create the collateral for your sales team. Many companies who have had success with sales enablement find that the “playbook” approach is effective. This is a way of easily and effectively packaging content. Core messaging for that persona. Common questions from this persona and the relevant answers. Although a playbook should be specific to a persona, the content is still mapped to the buyer’s journey. That is, a playbook should provide all the necessary detail, guidance, and information for a persona at every stage of the buyer’s journey. This way, the sales rep need only use one playbook for one persona—from that initial awareness stage all the way through to the decision stage. Every persona’s playbook should be incorporated into the sales enablement software program. This ensures all parties within the company have access to the information, and it’s a quick, easy way for reps to find what they need. Because content is mapped to both personas and the buyer’s journey, reps never have to wade through unwieldly lists of content or search endlessly for relevant documents. Ultimately, this means reps waste less valuable time that they could dedicate to core selling. As more companies take advantage of strategic content within their sales enablement efforts, it’s important to find ways to stand out, which is why every playbook should incorporate client-facing video content. It’s the quickest, easiest way to build credibility and trust with a lead while disseminating information in an engaging, digestible form. Content is shareable—internally within the company and externally to potential clients. The platform can integrate with your existing CRM system. Sales enablement is a complex, multifaceted process, and many of the concepts are often new (or, at least, unfamiliar) to the majority of sales representatives. That’s why it’s essential to provide various forms of training. This can come in the form of workshops or in-person meetings, but you can also embed training and coaching videos directly into your sales enablement platform. Compared to in-person methods, video is a quick, easy, cost-effective way for sales reps to receive the information and training they need. Say, for example, a sales rep has never dealt with a particularly persona. Before making contact, the rep can access the relevant videos outlining core messaging for that persona (including challenges, barriers to success, and so on). This quickly and easily gets the rep up to speed and ready to interact with the potential client in a way that convincingly and effectively speaks to that persona. Video also allows reps to view the training as many times as necessary and to receive that training anywhere and anytime they have access to the content management system. Remember, training isn’t a one-off process. It’s ongoing, and training material (including videos) should be updated as personas change and any other relevant information shifts over time. For more information about how to effectively implement a sales enablement process from the ground up, feel free to contact a representative of Brand Fuzion today! When it comes to new sales enablement technology, one of the biggest barriers to success is getting buy-in from your sales reps. Adoption of new policies and practices can be a struggle—especially if the reps feel as if that technology is only being implemented to “keep tabs” on them or to critique how they’re currently doing their jobs. However, with a few easy tips, you can help ensure you get all the benefits of sales enablement coaching technology by securing that much-needed sales rep adoption. Why Does Sales Enablement Coaching Technology Matter? Some companies think along these lines: If adoption of this new technology is going to be a battle with our sales team, why bother? This is a big mistake! Successfully implementing this technology into your coaching arsenal has been shown to increase win rate by up to 28 percent. With those kinds of potential returns, it’s absolutely worth your time to figure out how to implement this technology and to get sales rep buy-in—in order to ensure you fully capitalize on that new technology. When successfully implemented in the onboarding process, this coaching technology can arm your sales reps with the necessary skills to sell more efficiently and more effectively. However, many reps new to this system (and used to doing things a different way) could be reluctant to engage with the technology. If you’re looking for your reps to use the technology in a specific way, provide concrete examples and solutions for your request. If you demonstrate the kind of behavior you’re after, your reps are all the more likely to have success interacting with the new technology in the desired manner. When you have new reps, it’s critical to get their buy-in by training them through the new system. Because they don’t have any preconceived notions from former training material, you’re fare more likely to get up-front buy-in from them. Remember, though, you must demonstrate the system’s benefits, including how and where to quickly and easily access information. New reps are often eager to prove their worth and have success right away, so make sure you make it clear this new tool can get them up to speed quickly. The best way to encourage adoption is to prove the system has real, concrete value for your reps. Make it clear not only what the benefits are but how those benefits can help your reps sell more, faster. In particular, emphasize how easy the system is to use. The less time your reps spend searching for information, the more time they have to actually sell, so convincing them the system won’t talk a lot of time to navigate will be a big step toward adoption. A crucial part of the sales enablement process is mapping your content to your specific buyer personas and having content for each of those personas at every stage of the sales cycle. This is an easy way to prove the value of the system. If reps can find relevant content (either training material for them or actual content for the prospects) in a timely manner, this system can save them hours of sifting through documents to find what they need. By covering every stage of the buyer’s journey, it also assists them throughout the sales cycle—not just in one isolated instance. As sales reps are keenly aware, one of the biggest problems with content is that there’s often simply too much of it, and this system can help them easily and quickly access exactly what they need. Video is simply a more engaging form of content than plain text, and it promotes better retention as well. You should, therefore, be leveraging it within your system. Not only should there be video to help quickly and easily guide your sales reps, but you should be ensuring that video content is simple to find and quick to use. For example, mark or tag longer videos so sales reps can easily jump to the exact section that’s relative to them—rather than sitting and scrolling through the whole video. Sales is a dynamic industry, and for your technology to be successful with your reps, it must be as flexible as they require. That is, they must be able to adopt it and use it the way they want. For greater buy-in, this system shouldn’t be a totally built system that everyone interacts with in the same way. To some degree, each rep should be able to tailor the system to his or her particular sales-related needs. Tied to scalability and modularity is the need for the system to be mobile compatible. Reps must be able to access this system anywhere, anytime. Via an app, reps should be able to log in and interact with the system however is going to benefit them (accessing a particular piece of content for a prospect, watching a video about how to deal with a certain persona, and so on). Today’s sales reps are asked to fulfill so many roles and provide so many services, and one way to help your reps stand apart from the crowd is through an innovative technology-based coaching system. The information and insight gained through the system will help establish them as thought leaders within the industry, giving them immediate credibility, trust, and clout with their prospects. 9. 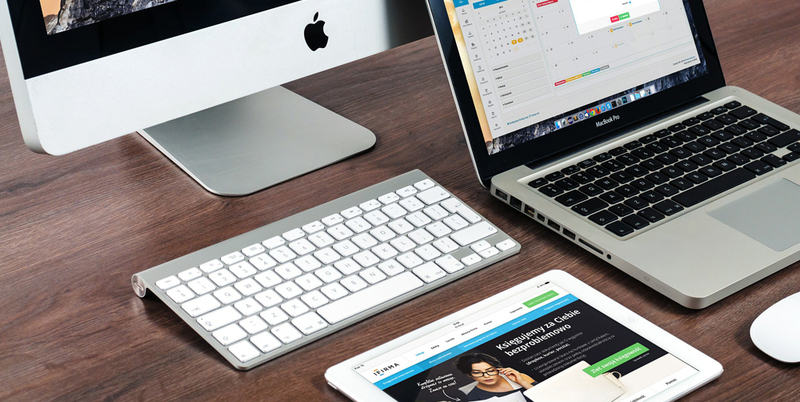 Get Your Sales Reps Using the Technology! Perhaps the easiest way to get adoption is to simply get your reps using it. Once they start engaging with the platform, they’ll realize how it gets even faster and easier the more they familiarize themselves with the layout, and most importantly, they’ll see firsthand how it can truly reduce wasted time during the workday. 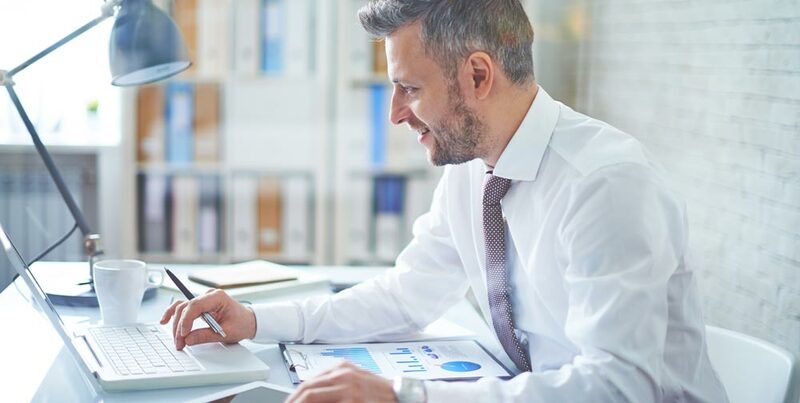 Integrating technology into your sales enablement efforts is a great way to get more organized, more productive, and more effective, and with these tactics and approaches to implantation, you can help ensure you actually get buy-in and adoption from all your sales reps.
What Is Reboarding for Sales Enablement—And How Can It Save You Money? Training and onboarding are largely considered integral parts of a successful sales enablement program, but as sales enablement has evolved in recent years, there’s been a shift in the underlying mentality and processes behind that onboarding. Rather than onboarding, a one-time event in the beginning of a sales rep’s career, companies that have seen success with sales enablement have moved to “reboarding.” What exactly is this principle, though, and how can it ultimately save your company money? Reboarding is the evolved form of onboarding. Onboarding traditionally happens one time when a sales rep or other employee becomes a member of the team. The idea behind onboarding is that it provides all the information and training necessary to acclimate that new employee into the company’s systems, culture, clients, products, and/or services. What reboarding does is to take that spirit of learning and carry it through a sales rep’s entire career. It’s an ongoing, continuous process rather than a set, one-off session. How Is Reboarding More Beneficial Than Onboarding? Reboarding provides several concrete benefits over the more traditional onboarding model. Reps enjoy better retention of material. When sales reps attend an onboarding session, it’s inevitable that the rep will not learn everything he or she needs to be successful in that position in that one session. Even if the information provided is thorough and comprehensive, people simply don’t retain all that information in one go. Reboarding, or continuous onboarding, gives these reps the opportunity to learn various skills and information over time. If the training material is always available, reps get more chances to interact with that content and really learn and apply the information. Reps evolve with the trainings. No company is continually static, and neither are sales reps. Throughout their careers, they are always learning and growing. If they are part of a company that embraces continuous training, those reps will always bring new perspectives and insights to these training sessions. This helps push reps to be their best, and it arms them with the tools to actually accomplish that. Trainings provide relevant, up-to-date content. Many facets of sales enablement are relatively recent, and there are new schools of thought and ideas constantly surfacing. In an industry like sales, which is always in flux and always evolving, it makes sense that your training needs to be equally dynamic. A one-time training is only going to provide your reps with that small subset of informat Save & Exit ion. Instead, you should be constantly updating your sales training materials to reflect those new ideas, policies, and best practices. Reboarding keeps your reps up to date on both your company specifically and the larger world of selling as a whole, and it helps ensure your reps aren’t working off outdated, stale ideas. Integrating reboarding with technology promotes productivity. Your goal with reboarding is to provide all this information—with as little intrusion and time requirements as possible. An easy way to make reboarding less intrusive, quicker, and more convenient is by integrating the training material into your existing sales enablement platform, CRM, or other software application. That way, no matter where your reps are in the world, they can receive this training, and it can be on their own schedules. This allows them to learn and then get back to the important business of selling. Evolve your reboarding program over time using analytics. If you have a CRM or other software application, you have a wealth of analytical data at your disposal. Use that data to improve your sales team. Look at the numbers to determine what your sales team does well and what they might need more training on. (This can assessed for the whole team or for individual reps.) Perhaps your sales team is great at pushing prospects through the top of the funnel, but sales get stuck right before purchasing. You can use that information to customize your reboarding efforts and focus on what reps need to do to close deals. Reboarding gives you the time and space to see how these efforts work over time. By continuously providing training and tracking your results, you can see what training efforts are actually resonating and working. Give your sales reps a much-needed edge in the new sales environment. Sales is harder than ever for reps. It’s an increasingly competitive landscape, and with the Internet, much of the buying power has shifted from the rep to the consumer. In this way, prospects often come to sales reps just as informed, if not more informed, than the reps themselves. Generally, consumers do their research—on your company and your competitors—before ever reaching out to any representative, so it’s vitally important that your reps are as knowledgeable as possible. They must provide prospects with genuine insights and helpful information in order to prove their value and secure the sale. Reboarding gives reps that competitive edge. It keeps them sharp, up to date, and at the top of their game. As with any facet of sales enablement, success does not come from a cookie-cutter formula. Every business is different, and what they need for sales success is also different. That being said, there are some techniques you can use to give yourself the best chance at success with a reboarding program. First and foremost, include your reboarding material in your sales enablement platform or other application. Sales reps are always short on time, and task switching is a notorious productivity killer. Provide your reps with all the training material they need directly in one system that’s easy and quick to access. That way, in order to learn how to communicate with a particular persona or to determine a prospect’s common pain points, all your reps need to do is look within that platform. This content should be available for every persona at every stage in the sales cycle. That way, no matter who your rep is dealing with or how far he or she is in the buying decision, there will be helpful content to facilitate and progress that sales conversation. Second, integrate video content into your training material. Video is faster, more convenient, and more engaging than text-based content, and, by virtue of being more interesting, it promotes better retention of the material. Supplement video content with supporting documents as necessary. Third, make sure you have a team that’s always looking for and creating new content for your reboarding efforts. Say, for example, your company releases a new product. There should be accompanying content that trains your reps how to sell that product. That training could include product benefits, information about personas likely to buy the new product, common barriers or challenges preventing those personas from buying the new product, solutions to those common challenges and barriers, and so on. How Can Reboarding Provide a Positive Return on Investment? For companies loath to implement new sales enablement efforts, it’s critical to realize that reboarding can offer a company concrete dollars and cents. It does this in two important ways. One, reboarding is an excellent way to make your sales enablement efforts more productive, and when you increase the efficiency and effectiveness of your sales reps, you start to see less prospects getting stuck in the sales cycle, more closed deals, and more revenue for your company. Two, it’s very difficult to retain sales reps. Missed quotas can be discouraging, and rep turnover is very high in the one- to three-year window. However, if you can support your sales reps and provide them with what they need to be successful in their jobs, you can reduce that turnover rate. And with DePaul University’s study placing the cost of a sales rep replacement at upwards of $115,000, it certainly is in your company’s best financial interest to learn how to keep and maximize your existing reps.
For more information about reboarding specifically or how generally to make your sales team more effective, please feel free to reach out to a representative of Brand Fuzion today! Nearly anyone who works with salespeople knows that time is their most crucial asset. The more time they can spend on core selling, the more productive they are going to be. On the other hand, the more time they have to waste on peripheral activities (searching for relevant case studies, updating records, and so on), the fewer hours they can devote to closing sales and increasing revenue. Because sales reps are so incredibly busy, that is precisely why sales enablement is crucial to their success. Reps need organized, strategic content within an organized, strategic framework. This cuts down on busywork and wasted time, which is the quickest, easiest way to increased conversion and real return on investment (ROI). To get the most value out of your sales enablement program, integrate these six tactics into your business approach. Yes, a huge part of sales enablement is content marketing and providing your sales reps with all the material they need when interacting with prospects. However, too often sales reps don’t get the onboarding and training they need to effectively use all that content. If reps don’t fully understand what a buyer persona is or what the buyer’s journey entails, they can’t be expected to successfully use content that’s targeted to specific personas at specific points in the buying decision. It’s crucial that training material (written and/or video) is embedded into any content catalog. Reps must be able to quickly and intuitively access this to learn about how to interact with a particular persona or learn about that persona’s specific challenges and barriers. Without training, sales reps will simply not utilize all that content that was carefully crafted to push prospects through the sales funnel. With all those lost sales opportunities, your ROI suffers dramatically. Wasted content is one of the biggest problems companies must learn to overcome. Sirius Decisions, Inc., found that 65 percent of created content isn’t even used (28 percent can’t be found, and 37 percent is unusable). To have success with sales enablement and to see concrete benefits in terms of dollars and cents, you need to combat these two issues. After all, you certainly don’t want to spend time and money creating content that is either unfindable or unusable. Your catalog of content must be intuitive, quick and easy to use, and organized. Remember, sales reps are always going to be short on time. They need a system that allows them to access the exact piece of content they need—with only a few clicks. Especially when you’ve invested a lot of time into sales enablement and you have created a large database of content, organization becomes imperative. If a sales rep needs to address a specific issue a prospect is having, the rep can’t sort through hundreds of articles or case studies to find the relevant one. Rather, the database should be organized in such a way that the rep can search by relevant persona and stage of the buyer’s journey to find links to those relevant pieces of content. Good sales enablement strategy also means creating content that concisely and specifically addresses your prospects’ common problems, questions, and issues. Therefore, a lengthy ebook that’s thousand words isn’t necessarily helpful in the sales cycle—if the prospect’s question only relates to one small section of that post. This is where microcontent can really help your sales reps. After you’ve accurately identified your target personas and the common questions and issues they face, you can create content that specifically answers those questions and addresses those concerns. These short, relevant pieces of microcontent can be linked within your content catalog, ensuring the sales rep can find them quickly and that the content itself effectively aids the sales process. Microcontent drastically cuts down on the time reps have to spend altering existing content to be relevant to particular prospects. And again, the more time your reps can spend on core selling, the better off the entire company is financially. The goal of both sales and marketing should be to close deals and drive revenue. If there’s misalignment between your sales and marketing teams, and they’re working toward disparate goals, you’re wasting time and effort that could go toward increasing revenue. Think the problem isn’t that significant? A 2015 Hubspot survey found that this misalignment costs businesses about $1 trillion each year! To combat this, ensure you have a good sales enablement system in place. It should contain the right content—both in terms of internal content for sales training purposes and external content for use when dealing with prospects. Also, the organizational system should be based on buyer personas and the different stages of the sales cycle. All this, when done properly, can lead to improved quota attainment. Historically, quota attainment has been a big hurdle for companies. (In fact, about 54 percent of sales reps do not hit this number.) However, by implementing programs that make your reps more effective, quotas go up, and revenue follows. Especially since more and more people are involved in the buying decision today, the sales cycle has lengthened over time. Effective sales enablement can keep people moving through the sales cycle rather than stalling out. It can also make your company stand out when compared to competitors, which can also garner you more sales. A huge key to this system working is making your content catalog easy to access and intuitive for your salespeople. Ideally, they could simply log in to a digital asset management tool that would gain them access to all the necessary files. Organizing the system by persona and buyer’s journey means reps don’t have to dig and search for relevant content. Everything will already be linked within that sales enablement platform. This combats a huge problem for sales reps, which is the fact that 64 percent of any given day is spent on administrative duties. When sales reps can access relevant, effective content with a few clicks—no searching or amending necessary—they can divert all their energy to core selling, and that’s when you start to see better conversion, quota attainment, and ROI. To be successful and effective with sales enablement, you need more than scattered ideas and various processes. You need a strategically created overarching framework. In short, you need a great sales enablement digital playbook. You must know who your buyer personas are, what stages they fall into within the buyer’s journey, and what content is effective to integrate into the sales process for a specific person at a specific point in the sales funnel. If your framework integrates training content and content for prospecting as well as key messaging to emphasize when interacting with prospects, you have a significantly better chance at increasing the effectiveness and productivity of your sales reps, increasing your generated revenue, and increasing your return on anything invested in your sales enablement efforts. For more information about tactics that could benefit your sales enablement plan, please feel free to reach out to a representative of Brand Fuzion, Inc., today!